Vivianna Morales is an associate attorney at Pechman Law Group PLLC, where she represents employees and employers in all aspects of workplace law. Ms. Morales has litigated dozens of wage and hour individual, collective, and class action lawsuits. She represents employees and employers in the negotiation of severance agreements, non-compete issues, and the investigation and litigation of harassment, discrimination, and retaliation claims. Ms. Morales also provides policy and compliance advice to employers, including conducting audits and consulting on employment policies and handbooks. She has represented clients in federal court in New York, New Jersey, and Louisiana and before various agencies, including the NYC Commission on Human Rights and New York State Division of Human Rights, Equal Employment Opportunity Commission, and the Federal and State Department of Labor. 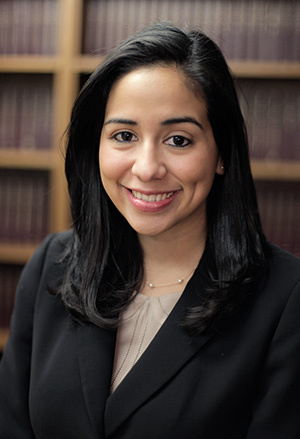 Ms. Morales is a member of the New York City Bar Association Labor and Employment Law Committee. She is also a member of the New York Women’s Bar Association. Prior to joining Pechman Law Group, Ms. Morales was a legal intern for the Honorable Joseph F. Bianco and the United States Attorneys' Office, Civil Division, in the Eastern District of New York. Ms. Morales has been selected as a rising star by Super Lawyers 2017-2018.